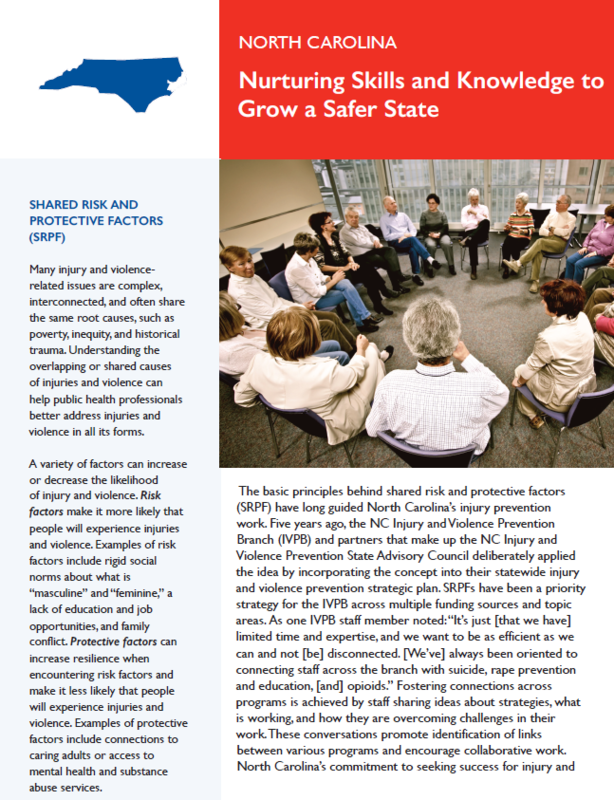 With an ever-changing environment, Safe States has identified the need to provide enhanced guidance to states relative to innovative ways to leverage funding across multiple sources to comprehensively address priority injury topics, specifically those of adverse childhood experiences (ACEs), suicide prevention and opioid misuse. 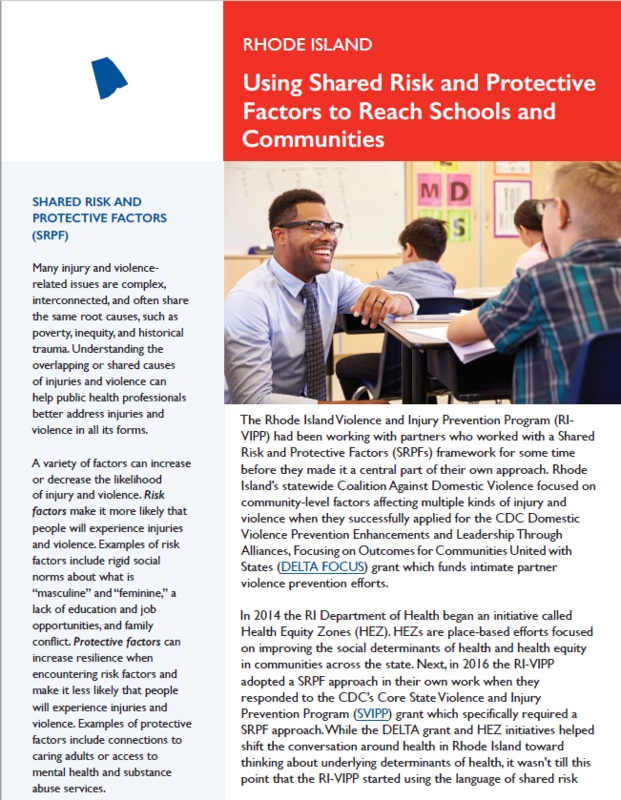 Through comprehensive interviews and focus groups, seven case studies across six states were developed. 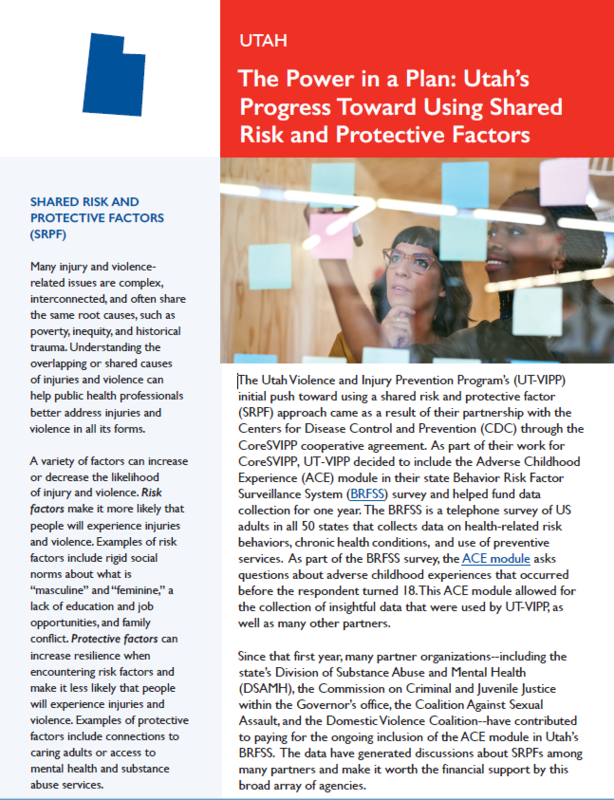 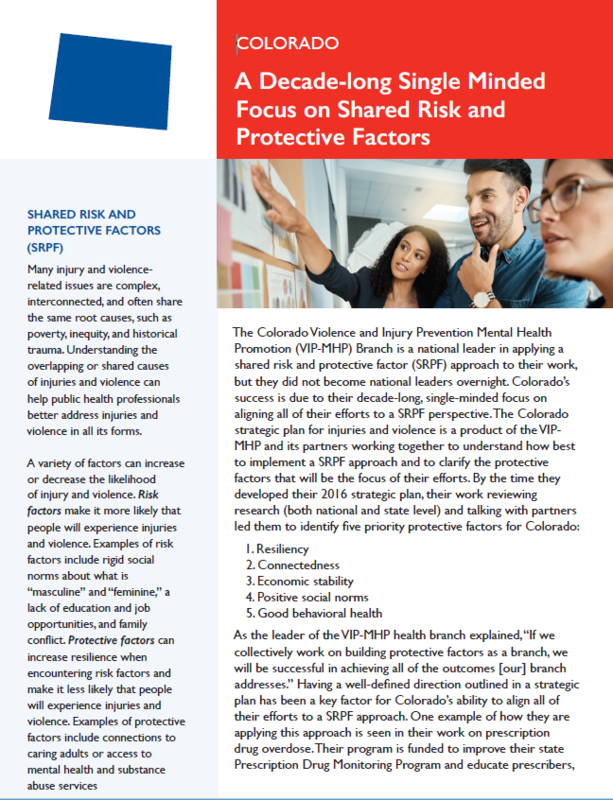 These case studies use a story telling approach to connect the work across the three priority topic areas of ACEs, suicide prevention, and opioid prevention with a particular emphasis on efforts to address shared risk and protective factors. 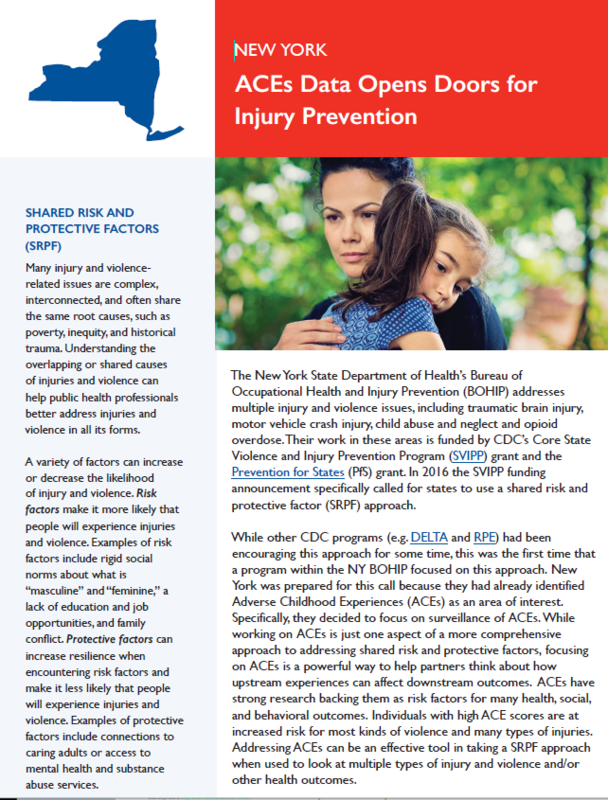 Case Studies: Leveraging State's Work On ACEs, Suicide Prevention and Opioid Misuse, provides seven specific examples of how connections can be used to support work across multiple funding sources in the areas of programming, policy, data, surveillance, and/or partnerships.